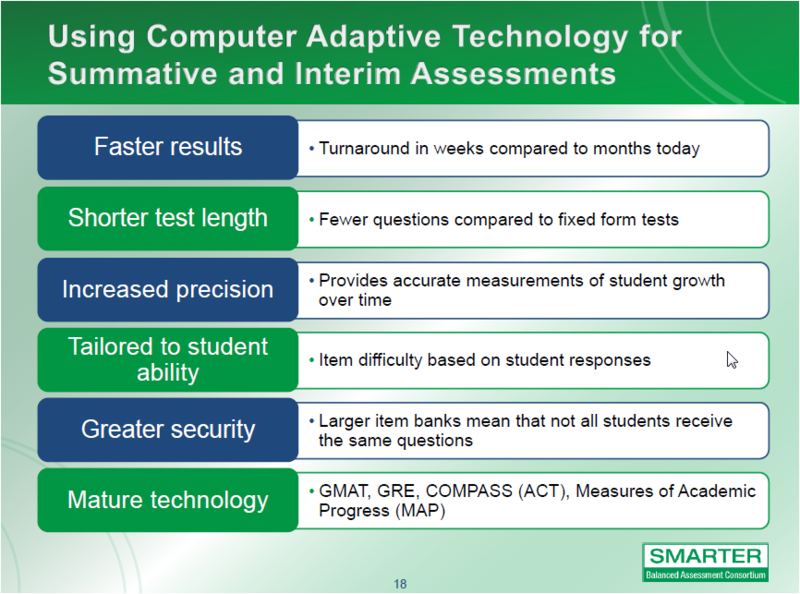 Computer-Based Assessments: The Future is Here! If you want to see a teacher’s anxiety level rise, mention computer-based assessments. There is a good reason for this! Too often districts have administered online assessments without the proper infrastructure in place to support the initiative. Firewalls, freeze ups, and other technical issues have frustrated teachers and sometimes brought students to tears. Even though we have all experienced the “bumps in the road” associated with online assessments, much to the credit of most LEAs, plans have been developed and funding has been secured to begin the important work of preparing our schools for online assessments. As part of the ACRE Reform Effort, NCDPI conducted research to determine each district’s readiness for the transition to online assessments. 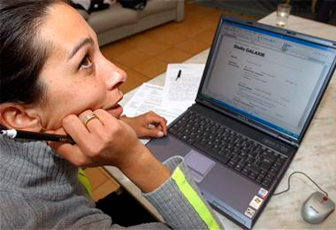 The study measured readiness in terms of hardware, personnel, and connectivity. (Access the findings here.) This study provides specific readiness data for each district in our state. However, just because we have current EOGs and EOCs that can be administered online, changes are on the way. With the adoption of the Common Core State Standards in Mathematics and English Language Arts as well as the North Carolina Essential Standards, the face of curriculum, instruction, and assessment are in the midst of a shift to add rigor to prepare students for college and career readiness. SMARTER Balanced Assessment is all the buzz right now as North Carolina has joined the SMARTER-Balanced Assessment Consortium that will be developing our new ELA and Mathematics computer-based assessments. Catch a sneak peek of SMARTER-Balanced sample assessment items by clicking here. Check out the five bullets under the heading: Sample Assessment Items. If you have an interest in taking a look at the many different types of computer-based assessment item types out there, you won’t want to miss this interactive taxonomy resource. Click on the table to visit the website. I continue to believe that all of these changes are indicative that we are headed in the right direction. We are providing our students with curricula, assessments, and resources that resonate with the world that they will inherit. What better way to teach them how to build a better tomorrow than to give them every opportunity to use the tools available in a rigorous and meaningful way?